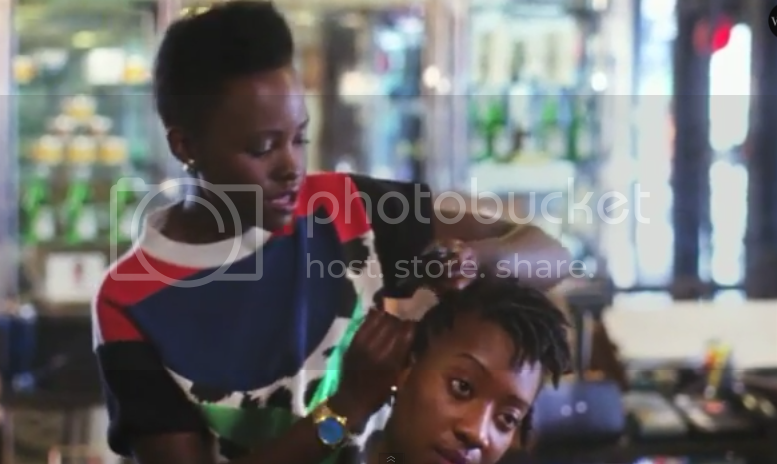 In a new video for Vogue, Lupita Nyong'o discusses her love of her hair braiding. She used six of her friends as hair models and demonstrated the many styles she has mastered. The video accompanies her impeccable cover shoot. She explained how she got into braiding hair. Here in the US I really wanted to get my hair braided. I took this Peter Pan bus to New York to get it braided at the African hair salon, and I was so morbidly disappointed I went home for the Summer and an aunt of mine who has a hair salon I went and asked her to teach me. I learned how to cornrow and box braid and twist. Now I really enjoy braiding hair for my friends. When I got back to school from learning how to braid hair in Kenya, I also decided that this was going to be my side hustle. I was going to make some money braiding hair, so I went to the great troubles of creating a poster but I just didn't have the heart to charge anyone. So my friends would make appointments with me, and I just didn't have the heart to charge, so I never made any money from it.